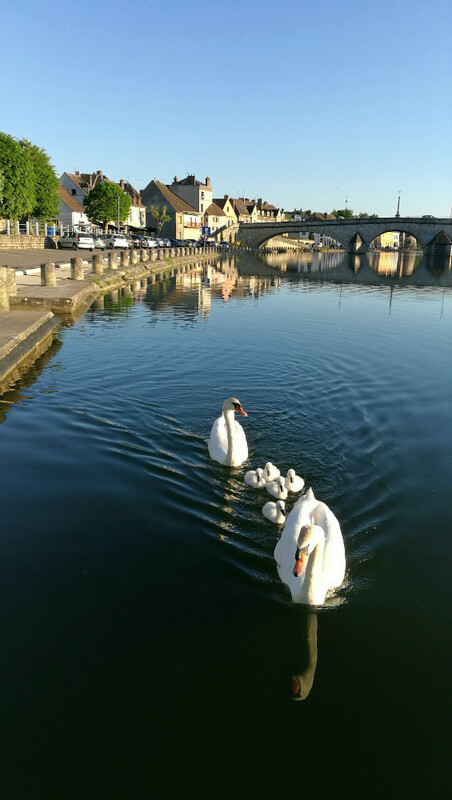 Home > Blog > Six new cygnets at Villeneuve-Sur-Yonne! Six new cygnets at Villeneuve-Sur-Yonne! If you head for Villeneuve-Sur-Yonne (just 7kms from our depot) in a motorhome or campervan this summer you will be greeted by some seriously cute new arrivals. The proud parents of these six cygnets have been trying to start a family for the last couple of years. They have finally achieved it and news of their success even made the front page of the local paper! The cygnets’ parents are very protective and quite demanding, so don’t idly wander along the quay with a baguette or it will be taken from you! Villeneuve is always a feast for the eyes and we feel these new residents add greatly to this pretty riverside scene. To be brutally honest, the campsite at Villeneuve is not the loveliest. It is very dated and shabby, but the town is well worth a visit. If you fancy a night there – perhaps on the first or last night of your hire – you can either brave the campsite, if you need mains power and water/waste facilities, or park overnight in the carpark overlooking the quay. The town has a supermarket with fuel station, nice little shops and three decent restaurants, all overlooking the river. The smartest and most upmarket of the three restaurants is “Auberge La Lucarne aux Chouettes” (photo right), once owned by the actress Leslie Caron. The other two are “Pizzera du Port” (no website) and “Au Vieux Tilleul” (no website) – both are very informal. Au Vieux Tilleul has a limited menu (usually just a couple of choices for each course) and a somewhat bossy (we think amusingly so) proprietor who does all the serving. However, the food is authentically French, really good and the prices are very reasonable. 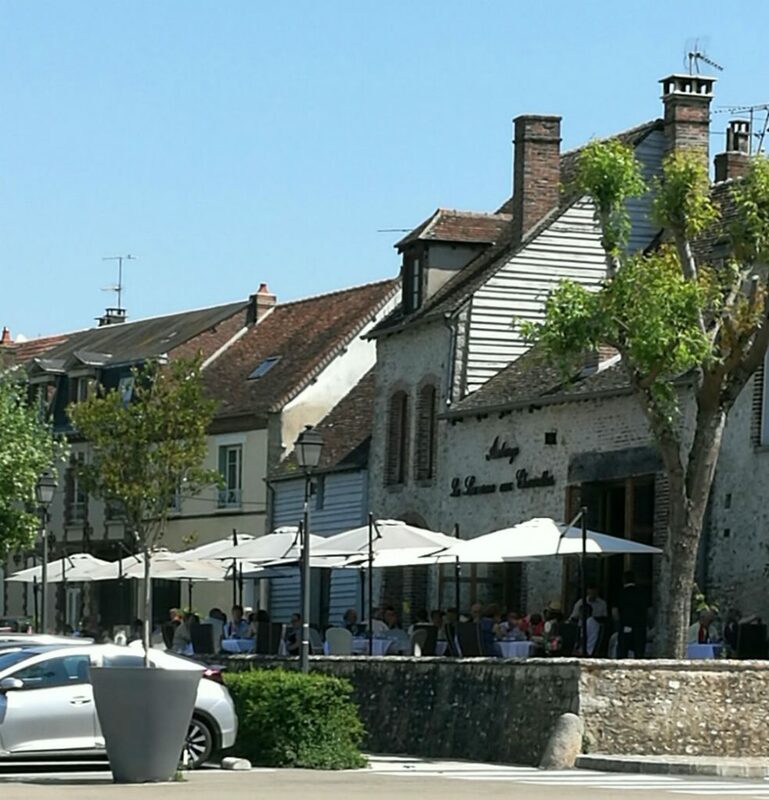 Call in ahead and book to eat in any of these restaurants as Villeneuve is a popular spot during the summer. 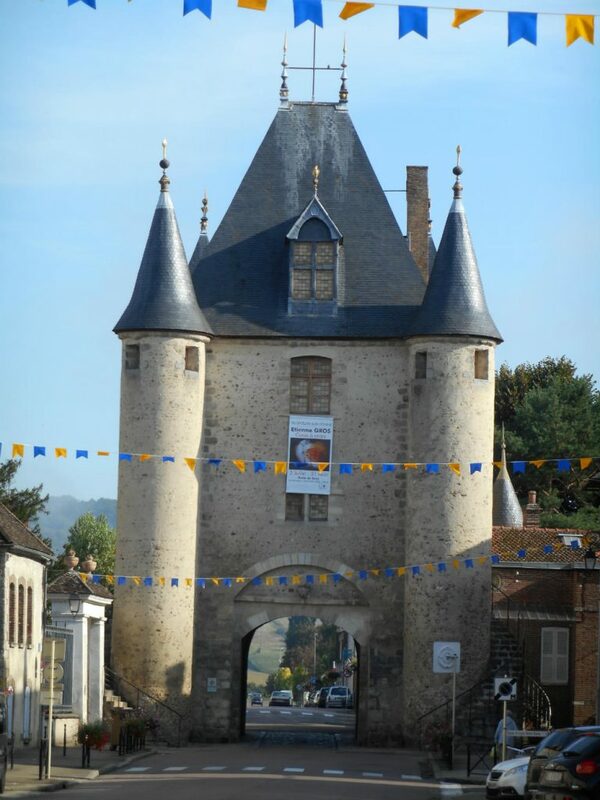 The newly opened Villeneuve-Sur-Yonne Office de Tourisme near the Porte de Sens (pictured below), offers an interesting walking map with highlights of this medieval market town. Do call in and pick up a map (with info in English) or download it from their website here (info in French) before you arrive. 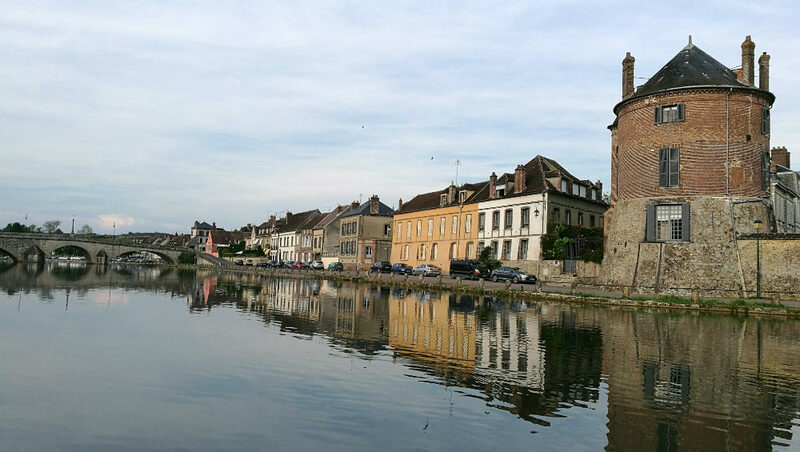 As you head south from our depot there are lots of Burgundy towns and villages along the River Yonne and the Canal de Nivernais, so you can’t really go wrong following these two waterways. You will see charming architecture, interesting history, river scenes and vineyards… What’s not to like?! We are still working on our web page all about our region and will be finishing it soon so we can share all the highlights of wonderful Burgundy with you. ← Why France is the best place to go wild in a campervan!